These are 12"x12" Frames in PNG Format. You can recolor, add texture, or cover with your choice of paper. 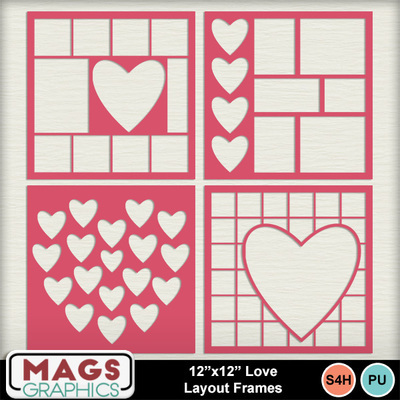 The hearts are the same shape as the Heart Shape Photo Box in MMS so you can easily add your photos behind slots. These make for striking layouts!